Having played football for a mere three years, Christian was drafted in 1987 by the Chiefs in the second round. During his seven seasons in Kansas City, Christian set a number of Chiefs rushing records, including total yards in a season, attempts in a season, touchdowns in a season, attempts in a single game, 100-yard games in a season, and was the first Chiefs running back to rush for 1,000 yards for more than one season. Christian’s outstanding 1989 season culminated in an array of awards, including Running Back of the year (101 in Kansas City & NFL Alumni) and first team All-Pro. The National Football League Players Association voted Christian the American Football Conference MVP, and he received the Mackie award for most touchdowns in the AFC. Christian garnered Most Valuable Player honors from the Kansas City Chiefs, and the Quarterback Club of Washington DC named him the League MVP. Christian received the Ed Block Courage Award and retired as the Chiefs’ all-time rushing leader, having amassed 4,897 yards, 1,246 attempts, and 14 games with at least 100 yards rushing, in his six seasons. 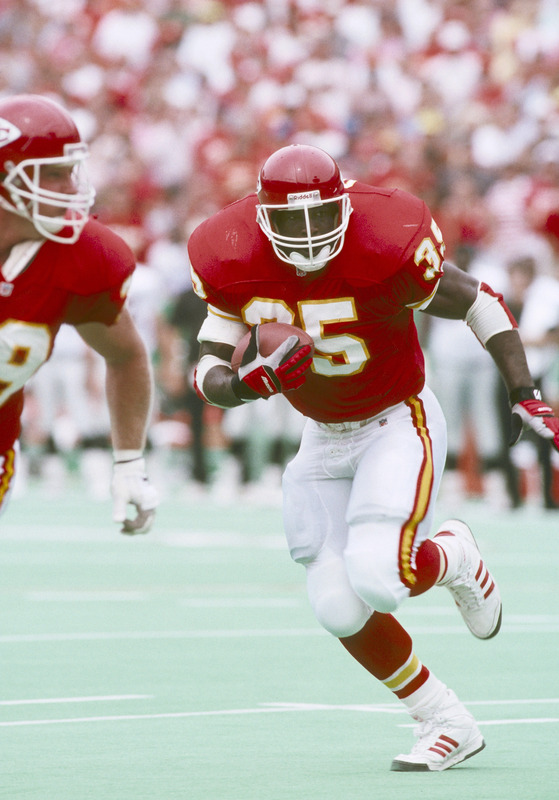 Along with being named as one of the Top 10 Power Backs of All Time, Christian was the team MVP in 1989, and was enshrined in the Chiefs Hall of Fame in 2000. Along with his on field accomplishments, Christian is doing amazing work in the community off the field. As the Founder of the California Sports Hall of Fame, Okoye leads the charge to acknowledge the greatest athletes in the history of The Golden State including Marcus Allen, Magic Johnson, Jackie Robinson, and Joe Montana. For more information on Christian’s efforts, click on the California Sports Hall of Fame.